Here at Blogging Mode we want to celebrate and reward our loyal customers, so we created a Loyalty Program (so you can earn money as you spend money) and a Referral Program (so you can earn vouchers for giving away vouchers). For every $10 you spend, you get a $1 discount for your next purchase. For every friend you refer to us, they get a $5 voucher to spend on their first purchase, and you get awarded $5 once they do! For every product review you leave us, you earn 150 points ($1.50). These actions are calculated in points that you can redeem in your cart when you want, as long as you purchase for a minimum cart amount of $25. For every $1 you spend, you earn 10 points. Every 100 points can be redeemed as $1. Be a loyal customer, and you will automatically earn points for every dollar you spend in the shop. The more you spend, the more you earn! Leave us product reviews for the items you bought to earn extra points! If youre having trouble with the process, check out our tutorial (with pictures) here on how to earn points and claim store credit. button in your account to create a unique link, and share that with your friends and followers. They get 500 points ($5) to spend on their first order, and once they do, you get awarded 500 points too! Leave us a product review! Review your past purchases & products to earn more points. Go to your orders and review the items you bought to earn 150 points per review. Please read the following guidelines to understand the restrictions we have on earning & using your rewards points. To be able to use your reward points, you must have at least $25 worth of products in your cart. You cannot earn reward points for orders where you redeemed points. To receive reward points for referrals, the people you referred must place an order of minimum $25 first. You can redeem a maximum amount of 1,500 points ($15) at a time. You cannot buy, transfer or sell your reward points. Your reward points have no expiry date. Please note that these terms can change at any time and without any notice, and we reserve the right to block you from our Loyalty Program if we notice any suspicious activity. Still need help? 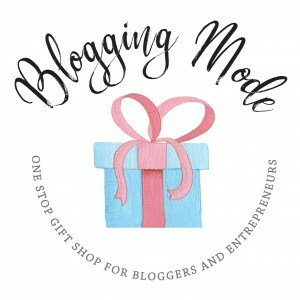 Check out our step-by-step tutorial (with pictures) here or email as at info@bloggingmode.com for support.